Summer break is a time filled with lengthy park visits, sunny neighborhood adventures and sand-castle-building beach activities. Even when the kids are taking a break from the books, some quality learning can be added to their summer schedule as well – especially if you can sneak it in as fun. The Blue Star Museums program can help you do just that. Between Labor Day and Memorial Day participating museums across San Diego are free to military families. Watch the kids eyes light up at the New Children’s Museum as they play with the hands on exhibits. Visit the MCRD Museum with its historic architecture and 6 major galleries and the kids will get lost in the history of one of our country’s great armed service branches. The summer would not be complete without a trip to the San Diego Museum of Art. The museum celebrates its 100 year anniversary this year and its Balboa Park location offers all day enjoyment for the family. 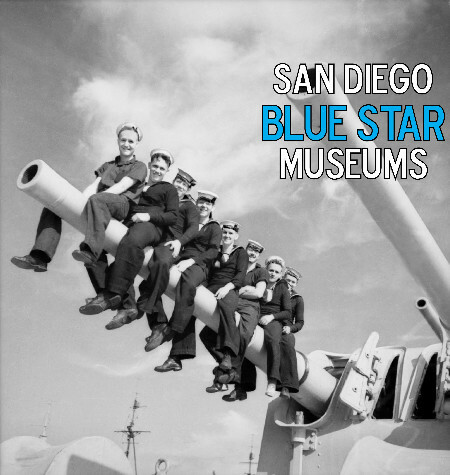 For a complete list of Blue Star Museums visit their website here. Free admission is available to active duty service members and up to 5 family members. The Military ID holder must be present.